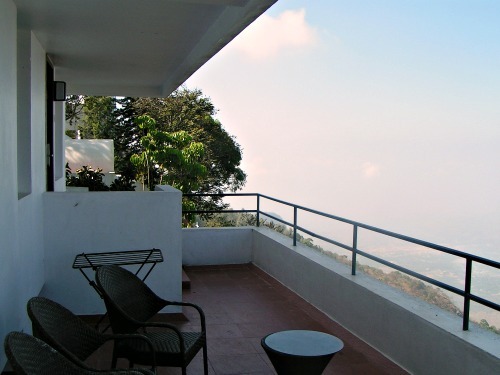 Situated 4,700 feet above sea level in the Servarayan Range of Tamil Nadu, Yercaud is a tranquil hill station in a setting that is quiet, unhurried and close to nature. 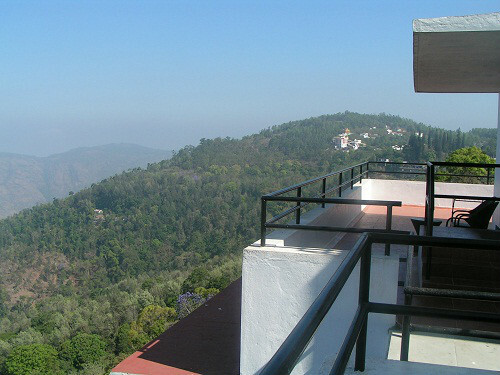 Yercaud is also known for its plantation estates - largely coffee, cardamom, black pepper, and its fruit orchards - with oranges, guava, and jackfruit. 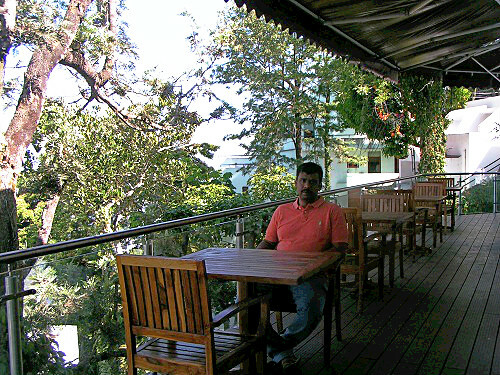 Overlooking the lush coffee gardens in Yercaud is the dome-and-vault structure of Sterling Holidays Rock Perch, with interesting tourist spots located nearby. Sterling Rock Perch is a prime destination for vacation seekers and those looking for a weekend getaway - amidst heady heights and cool climes. Q: What makes your holiday out of the ordinary at Sterling Rock Perch? A: Your room is your first comfort zone with some breathtaking views outside your window. Early mornings views at your balcony are heavenly – with wide panoramic views of green hills, a lush forest cover and a patchwork of sparkling lakes. Relaxing in your balcony in the evening can be mesmerizing as twilight sets in and Salem City turns on its lights to frame a dramatic sunset. We met a guest at the resort who described the view at night as a kaleidoscope of stars above and city lights below - and wishing he could hang on to every moment as the clouds breezed in. Q: What are the rooms like, at the resort? 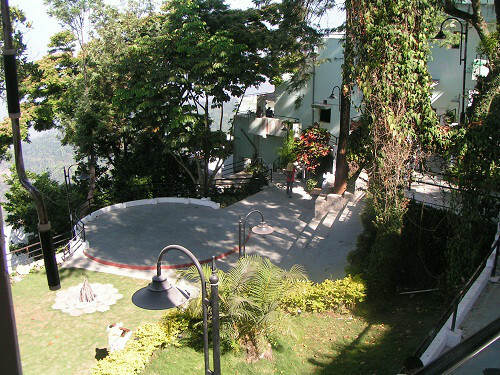 Rock Perch has 2-bedroom apartments, 1-bedroom apartments and studios for members. 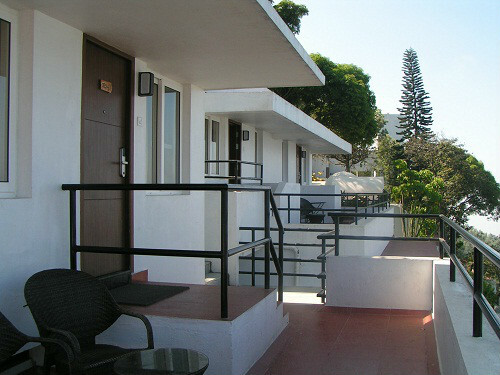 The resort has Classic Premier Suites and Privilege Suites for open-booking guests. The rooms and suites at Rock Perch have a cozy dining area in addition to facilities to make tea and coffee. You also have 24/7 cable TV, and a conveniently located ironing facility. 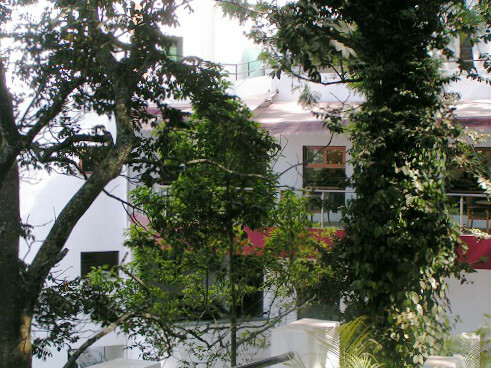 The architectural front face for the resort is amazing with rooms interestingly perched along a sloping cliff-face overlooking Salem City. 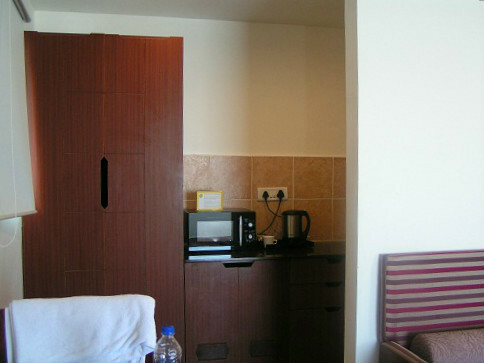 Whatever the size or format, all rooms are nice, comfortable, clean and well maintained. Moving around the resort to different levels is an interesting criss-crossing of stairways that can add a fitness routine to your vacation. Q: What’s the food like at the resort? 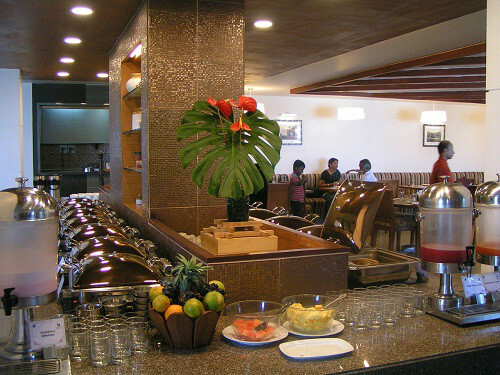 The main restaurant at the resort offers a multi-cuisine fare for breakfast, lunch, and dinner. 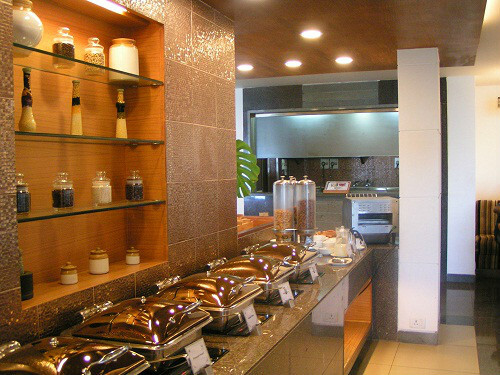 We were there for breakfast which was a really wide spread of options – there’s so much to choose from. 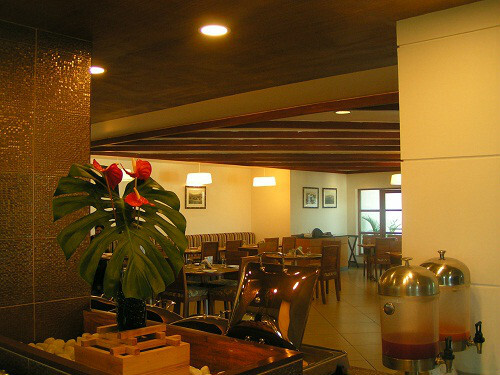 Some of the guests we spoke to mentioned that they found the service at the restaurant nice and efficient – we too noticed that each member of the F&B staff was trying to be attentive and helpful. We were also told that room service from the resort kitchens was available between 6.45 am and10.30 pm – and was pretty efficient. Q: What about the quality of service? Service at the resort was given a smiley by some of the guests we met, without a prompt; people recalled a willingness to help, in more ways than one. 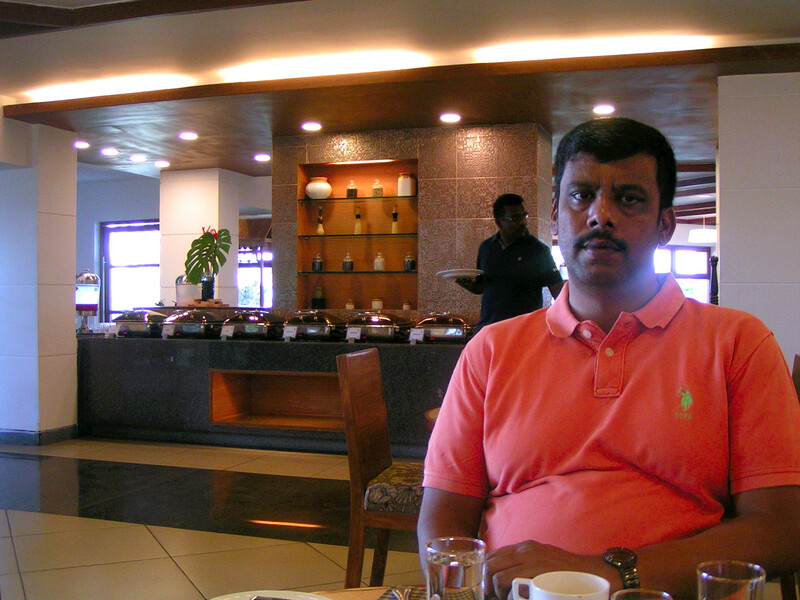 Chef Siva at the restaurant got a special mention in our discussions, in addition to the team at the spa. Guests also had a positive response on the Massage Centre, which offers a range of massage options - full-body massage, relaxation massage, pain relief therapy, and ayurvedic massage. Q: What activities does the club offer to guests? 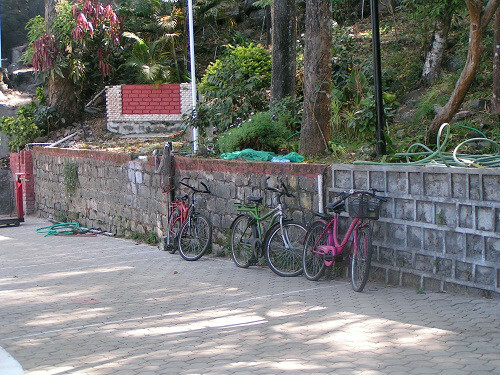 The resort has an in-house events team that coordinates activities such as camping, trekking, safaris, boating, dirt biking and other adventure activities in and around the resort area in Yercaud. Guests with young children can relax and unwind knowing that there is a dedicated activity and play area for little ones – with swings, see-saws, ropeways, merry-go-rounds and slides. 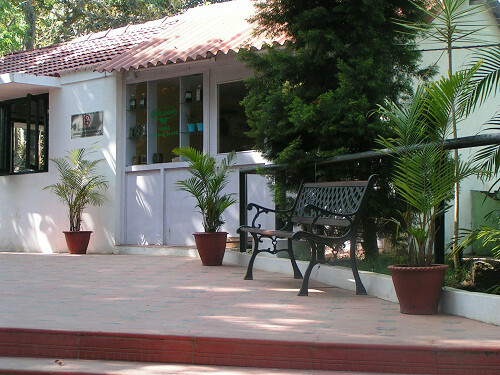 The resort also has facilities for indoor games including table tennis, carrom, chess, video games, and skating. Entertainment options at the resort include disco nights, bonfire circles, housie sessions and party games. 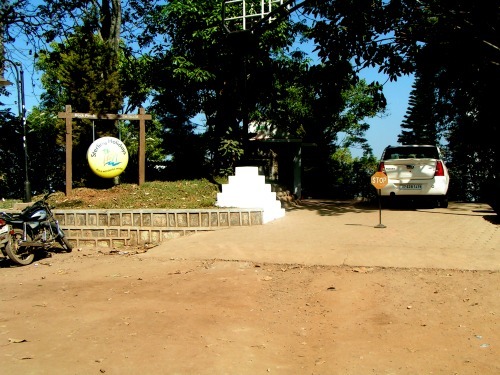 If you’re interested in shopping for horticultural produce, there’s more than what you can bargain for in and around Yercaud.